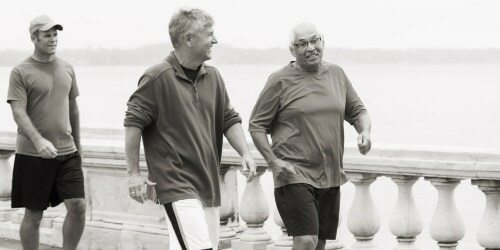 Here is some practical advice to help you get out in the world and live the life you want, rather than letting the worry of bladder problems hold you back. Think about what could help you stay protected and confident during the day, and then create your own small kit with these items. Your kit could contain absorbent protectors or protective underwear, wet wipes or perhaps a change of underwear depending on your plans for the day. Just knowing that you have a kit with things that can help you during your daily life can relieve stress and keep you confident. Knowing which kind of products that work best for you is key in feeling protected and confident. For example, if you have small leaks with just a few drops or dribbles then protective shields may be useful on a day-to-day basis rather than absorbent protectors. Likewise, if you find yourself leaking more than a few dribbles you may want to invest in protection with more absorbance. 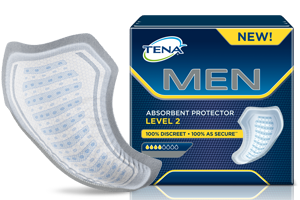 TENA Men offers a wide range of products for protection against urine leakage, so have a look at our product pages and find your fit. Urine leakage can cause skin irritation and odour problems for men. Therefore it's important to keep the affected areas clean with water or a wet wipe. Odour problems can be diminished with the help of male incontinence products and by drinking more water. Drinking more water makes the urine weaker and less likely to produce an odour. If you're nervous about urine leakage while you're away from home, take some absorbent protectors with you. They are small and often individually wrapped and will fit in pockets discreetly. If you're going to a new venue make note of the nearest toilet early on so you don't have to worry when it's time to go.